The Maui Seasons for Peace organization is seeking groups and organizations for its “Info Expo” to celebrate United Nations International Day of Peace on Sept. 16 at Queen Ka’ahumanu Center. The celebration will be from 1 to 5 p.m., and recognizes the efforts of those who have worked hard to end conflict and promote peace. Local performing groups will entertain. Local nonprofit groups or other organizations that wish to host an informational table may sign up. There is no charge. Contact Donna Vida at seasonsforpeace@gmail.com. The Italian American Social Club of Kihei will hold its monthly potluck meeting on Tuesday at the St. Theresa Church hall in Kihei. The meeting begins at 6 p.m. Members are encouraged to provide a main course, salad or dessert to share. David Belew, chief staff executive of the Realtors Association of Maui, will speak at the Rotary Club of Kahului’s meeting from noon to 1 p.m. Monday at Tante’s Island Cuisine in Kahului. Belew will discuss where the real estate market is today as well as where it is headed in the next several months. He will also review monthly statistics for this year. Lunch is $20. For more information, contact club President Gary Albitz at 281-9672 or albitzkrotary@gmail.com, or see www.kahuluirotary.com. Kihei Wailea Rotary Club will hold a “Meet and Greet” from 6 to 7 p.m. Thursday at Mulligans on the Blue in Wailea so that the public can learn about Rotary and talk story about the club’s community projects. This is one of several “Meet and Greet” gatherings that will also look at how membership can enhance leadership skills. Maui Mediation Services is sponsoring a workshop on “Decreasing Workplace Conflict & Increasing Productivity” from 12:30 to 2 p.m. Wednesday at the J. Walter Cameron Center auditorium in Wailuku. The workshop will provide insight for managers and employees. Presenter Diane Petropulos has more than 18 years’ experience in conflict resolution and facilitation. The workshop is the second in a series of Maui Mediation Services “brown-bag” trainings. Participants may bring their lunch. Those interested in attending should call 244-5744 or email their name and contact number to info@mauimediation.org. Habitat for Humanity Maui will be holding its 11th annual Build-a-Thon fundraiser from 8:30 a.m. to 4 p.m. Sept. 28 and 29. 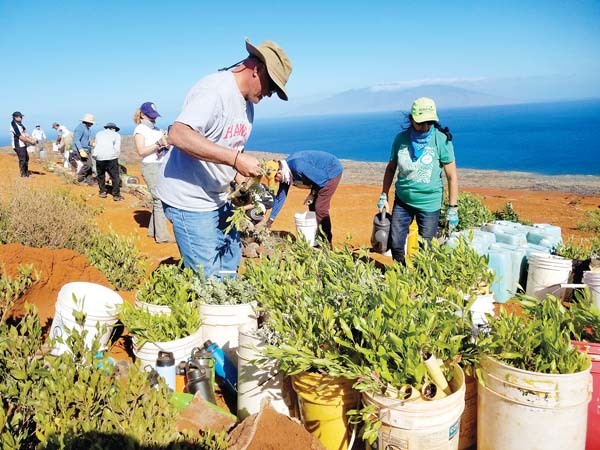 Participants will be working in the Kahoma residential subdivision in Lahaina, where Habitat Maui is building 10 single-family homes. Participants are asked to have a personal goal of raising at least $100 in pledges or donations. Corporate sponsorship opportunities are available to support the event. All money raised will go toward building these 10 homes. The Build-a-Thon is a public awareness and fundraising event, where Habitat supporters raise money and help build homes for people in low-income households. The event is expected to mobilize over 100 volunteers and make significant construction progress on several homes Habitat is building. Lunches, snacks and door prizes will be provided. For more information about the 2018 Build-a-Thon or any of Habitat for Humanity Maui programs or events, call 242-1140, or go to www.habitat-maui.org. Booth applications are being accepted through Sept. 5 for the second Maui Baby Expo on Sept. 29, presented by Queen Ka’ahumanu Center and Maui Family Magazine. The event from 10 a.m. to 1 p.m. at the mall also features a baby crawling contest. It is focused on parents and expecting parents along with babies and children up to age 5. There will be parent/keiki education, keiki products and service resource fair, keiki fashion show, activities, entertainment, door prizes and chance to win diapers for a year. Nonprofit community organizations along with Maui-made products and services may apply for a booth. For more information, see queenkaahumanucenter.com or visit the the Ka’ahumanu Center’s Guest Services desk.